Bradley Smith finished sixth in a chaotic Australian Grand Prix after arguably the strongest weekend of his rookie MotoGP campaign. 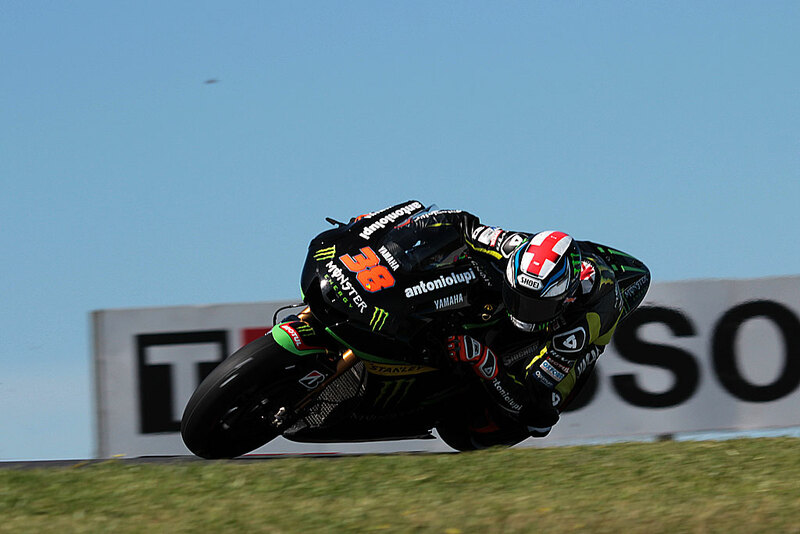 The Tech3 Yamaha rider made a stunning start from the third row and was in fourth position at the first corner before the likes of Cal Crutchlow and Alvaro Bautista overtook him. It was the latest in a string of encouraging signs for Smith and repays, once again, the faith that his team has shown in him throughout the year. “The last two races we’ll try and improve. Motegi will be very tough on brakes and difficult to manage the full fuel load but it’s a track that I like and I’m looking forward to it,” said Smith. This entry was posted in MotoGP, News and tagged Australian Grand Prix, Álvaro Bautista, Bradley Smith, Bridgestone, Cal Crutchlow, Grand Prix motorcycle racing, Phillip Island Grand Prix Circuit, Valentino Rossi. Bookmark the permalink.